The concept of a lucky charm has endured across cultures, religions and eras. Throughout the ages humans have found solace and power through relationships with special objects. Superstitions, rituals, amulets and charms provide a calming mental focus during times of anxiety, and objects imbued with a mystical meaning contain a supernatural aura of influence – a conceptual weight that sets them apart from being merely trinkets. Artists: Abdul-Rahman Abdullah, Kate Beynon, Helen Britton, Sai-Wai Foo, Hannah Gartside, Niharika Hukku, Jumaadi. Co-curated with Joanna Bosse: Bayside Gallery Curator. The exhibition “Tribute” derived from the unique style of the Sombatpermpoon Gallery where artworks by Thai masters are collected and exhibited. Although some had passed on, but their works still inspire and are continually studied by up-and-coming young artists. This has created an invincible connection between the old masters and the next generation of artists. 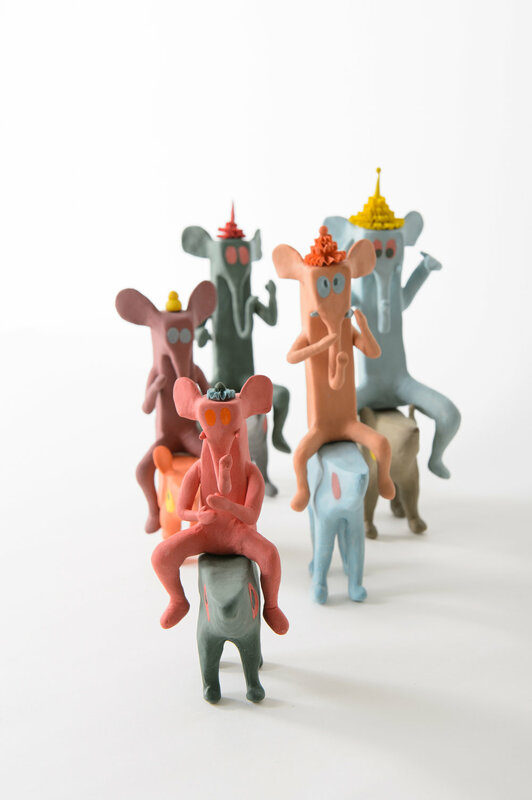 Taking this connection a step further, The curator invited 17 artists at various stages of their career (early to established) to create new work under the Ganesh theme, using ceramic as the main material. Most Thai artists regard Lord Ganesh as the Grand Master of Art. In this exhibition, he represents a seamless art link that runs through the different generations of Thai artists. Through personal experience, interpretation and faith, “Tribute” presents a new perception and contemporary views of Lord Ganesh. As an artist whose prefer medium is ceramic, I have selected 8 artists who create work that i found beautiful. pleases my aesthetic senses, both for the sight and the brain. The work in Return to Beauty exhibition has a combination of great qualities, such as shape, colour, form, technique skill and refine concept. To me, when refer to the beauty of ceramic, the Chinese blue and white porcelain first came to mind. Thats why I asked participant artists to create their work respond to the Blue and White colour scheme. A collaboration with Susie Beaver, a director of Beaver Galleries, Canberra. An exhitbion of 13 artists whose practices are influenced by and reflect their cultural heritage. Most of these artists were born overseas and have chosen to live in Australia creating work that celebrates their chosen and inherited cultures. 13 Artists: Alice Couttoupes, Somchai Charoen, Maria Chatzinikolaki, Klaus Gutowski, Shin Koyama, Keiko Matsui, Kim-Anh Nguyen, Ramesh Nithiyendran, Avital Sheffer, Vipoo Srivilasa, Kenji Uranishi, Mark Valenzuela, Prue Venables. An exhibition that explores the notion of spoon as wearable art, featuring artists who work in different media from around the world. The idea is to challenge artists to create something that they do not normally create and exercise their creativity by translating their practice into a new kind of work. Most importantly, it is for the artists to have fun! 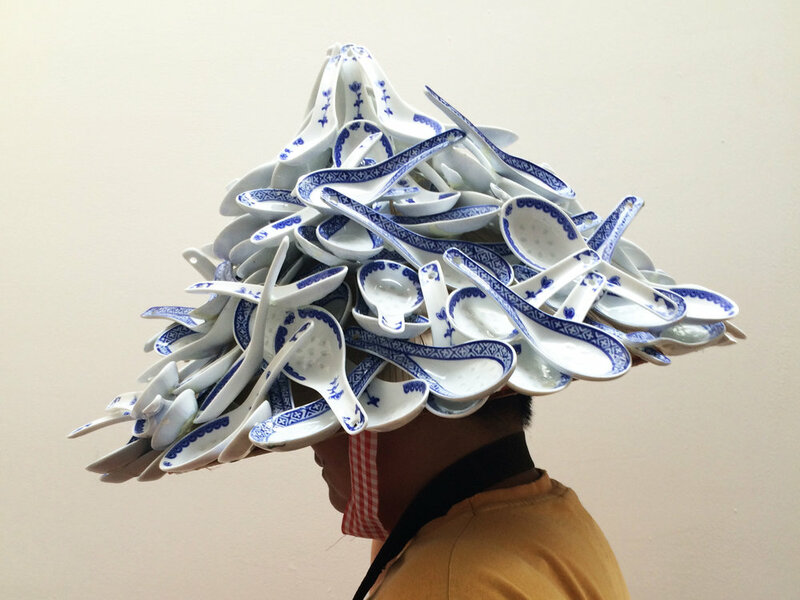 OBJECT: SPOON is an international showcase of creative spoons by 40 ceramics artists from 12 countries. Using his extensive social media network, Thai born Australian artist, Vipoo Srivilasa has orchestrated this international engagement between ceramic artists from around the globe. 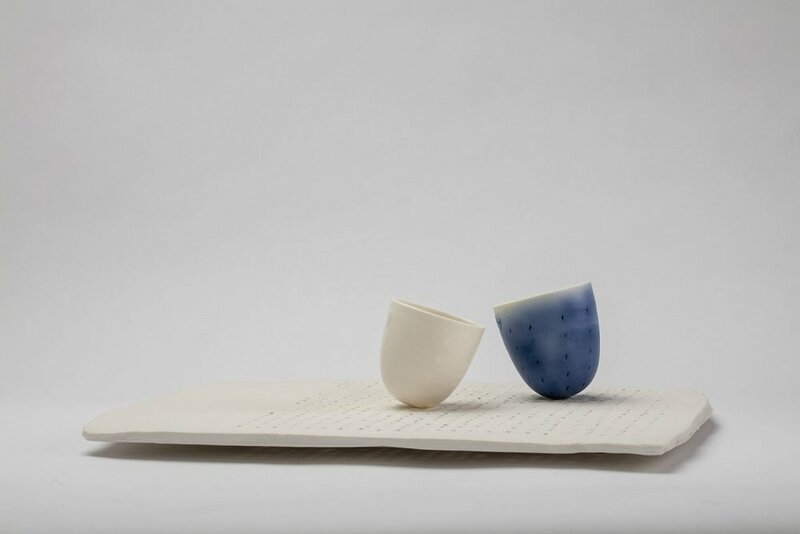 The project was first exhibited at The Medalta International Artists in Residence in Canada then at Harvard University in the USA and at Beaver Galleries, Australia - coinciding with the Australian Ceramics Triennial 2014: Stepping Up. 14 - 30 October 2008. The exhibition "Design Australia", curated but Vipoo Srivilasa in collaboration with the Australian Embassy Bangkok. The exhibition is part of the 2nd Bangkok Design Festival. “Design Australia” presents a wide range of furniture, lighting, glass, ceramics, jewellery and textile work by eight Australian designers: Marc Pascal, Maureen Williams, Sari Harris, Ilka White, Gregory Bona, Volker Haug, Zaishu and Simon Lloyd.